← The Mobile Truck will be here soon! Save the date of March 21st! Prom is approaching! Help young ladies Say Yes to the Dress!! Spring is in the air and high school girls are beginning to dream of end of the year activities, banquets, and of course, PROM! Many of these young ladies will struggle to find a dress that they love and can afford as dresses can be a major expense. Well, that’s where Say Yes to the Dress comes in to help! Say Yes to the Dress is a project dedicated to gathering gently used, in-style formal and cocktail dresses to ensure that all young ladies can feel beautiful in a pretty “new” dress. All the collected dresses will be set up in a FREE “store” at Huntsville High School on April 10th. 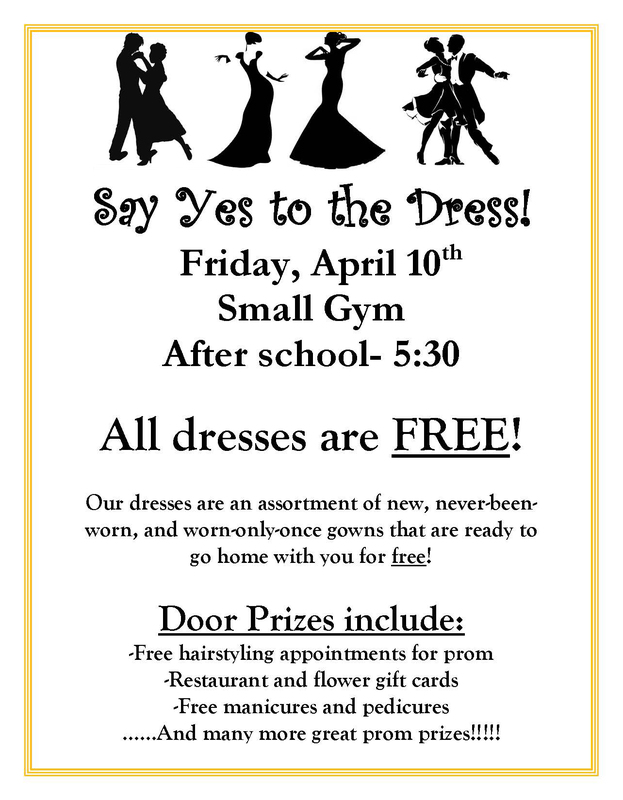 It will be an afternoon of fun for the young ladies who are able to find the perfect dress!